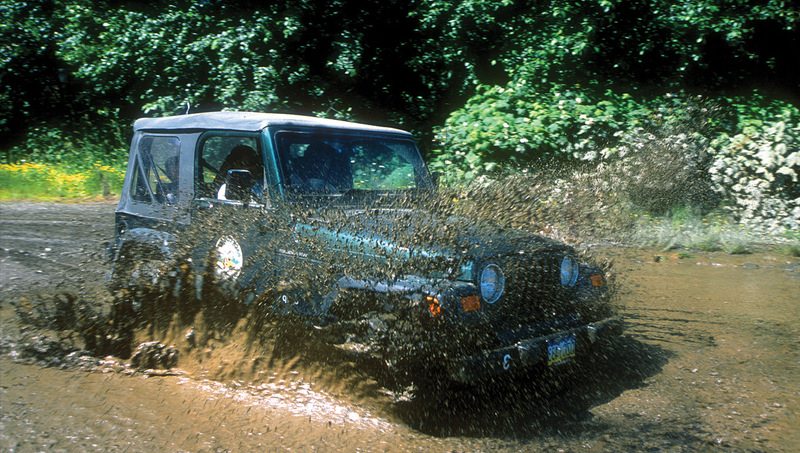 Take the wheel on an off-road adventure through the rainforest! Tour includes round trip transportation; Souvenir button; poncho; life jackets, paddles; Jeep Wrangler® shared with up to three others; snack and beverages consisting of clam chowder, rolls, jam, smoked salmon, crackers, mints, juice, hot chocolate, coffee and water. Souvenir T-shirts available for purchase. Fill your senses with adventure and excitement as you take control of an automatic 4-WD Jeep Wrangler® wind your way through the rugged back roads of Revillagigedo Island and paddle across a serene mountain lake in a 37-foot, 20-passenger Alaska Native-style canoe. 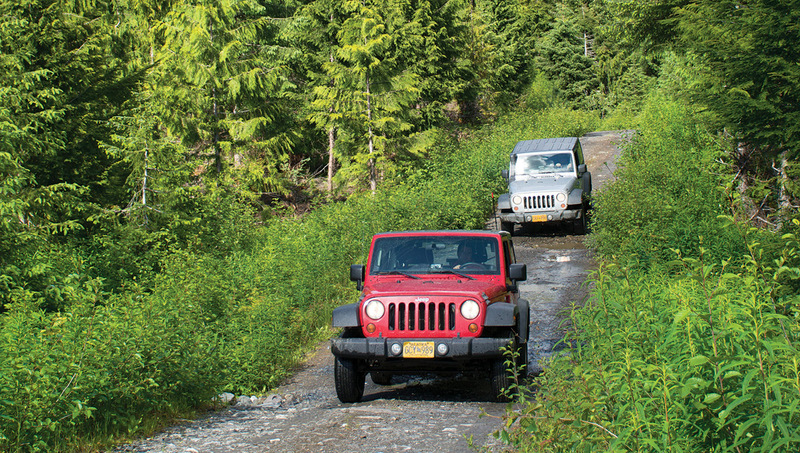 You’ll travel mountainous unmaintained logging roads in the Tongass National Forest and enjoy informative narration via your interactive radio, with photo stops along the way. 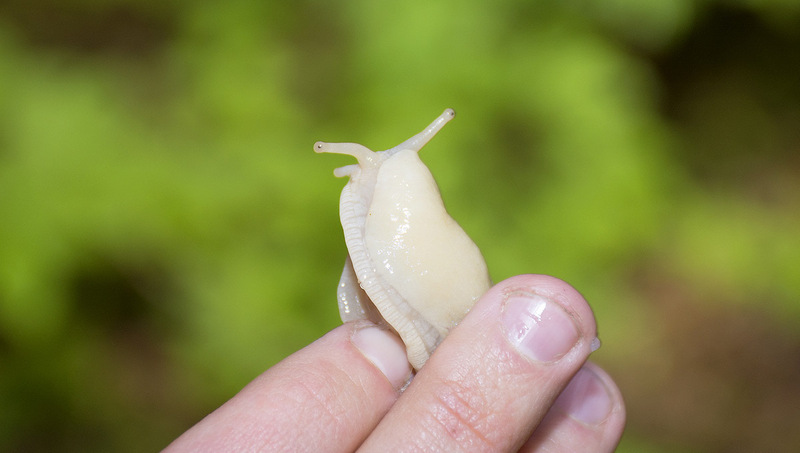 Upon your arrival at Lake Harriet Hunt, you’ll experience a unique ecosystem from the vantage point of a large, easy to paddle, guided canoe and nature walk through an old-growth forest. Our cook will have your hot Alaskan-style snack prepared for you at a remote camp along the shore. Child rate applies to ages 5-12. Taxes not included. Times are approximate. By arrangement to meet tour & cruise ship schedules. Operates in most weather conditions. Please see our Trip Interruption Protection & Terms & Conditions. Best of the BEST! What a fantastic trip we took on the 4×4 Backcountry Jeep & Canoe Safari. 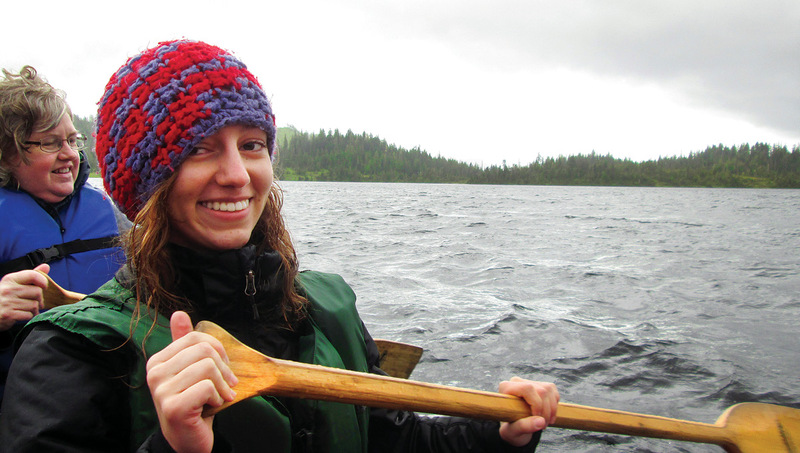 It was an excursion from our cruise and my teen daughters and I had the time of our lives. We had never been 4x4in before and it was phenomenal, we simply didn’t want to stop. For the first time I headed right into the chuckholes and large puddles. My oldest said it was the highlight of her entire week. The canoe trip and nature walk was extremely enjoyable too and it was so picturesque and serene. 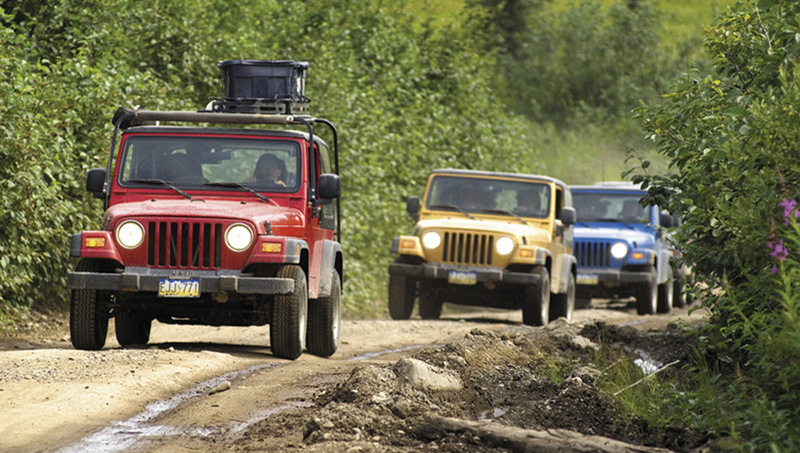 But the star of this trip–and a big one at that–was the Jeep Wranglers! 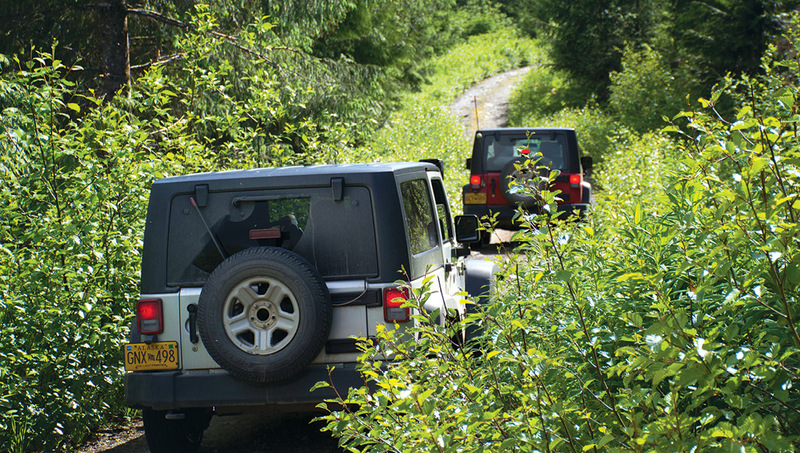 ~ Darin S.
For the Jeep® portion of this safari adventure, you will join up to three other guests, with plenty of opportunities to change drivers for those who want to get behind the wheel! 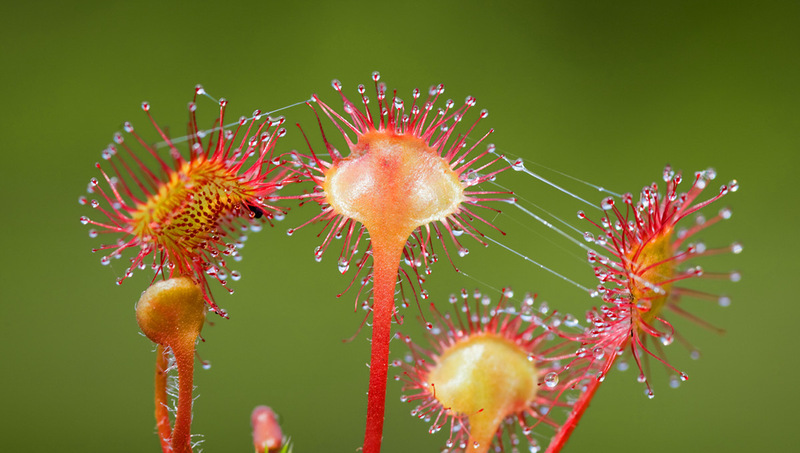 While you traverse the mountain roads of the Tongass National Forest, your guide will provide you with interesting and informative commentary by means of two-way radio. 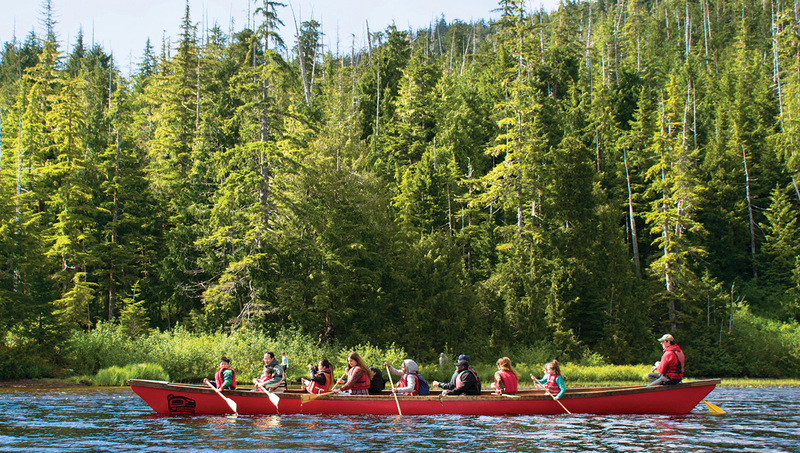 You’ll be fascinated by the area’s natural history as you pass through old growth and new growth forests. Stop for fantastic views and excellent photo opportunities along the way. 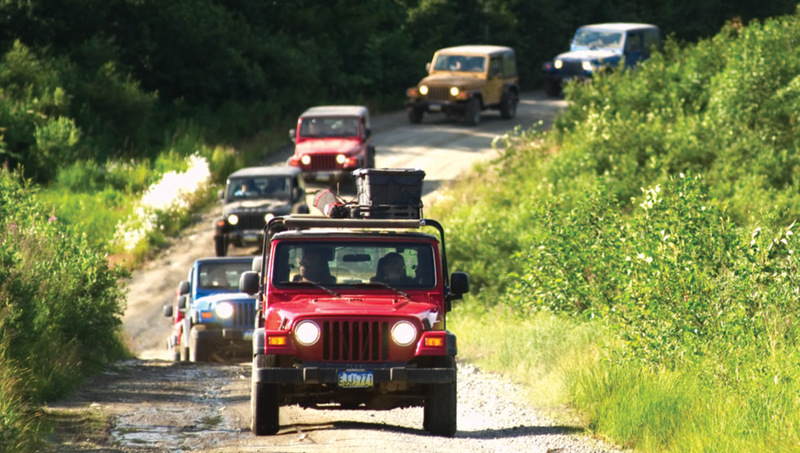 The Jeep® portion of your tour concludes with your arrival at Lake Harriet Hunt. 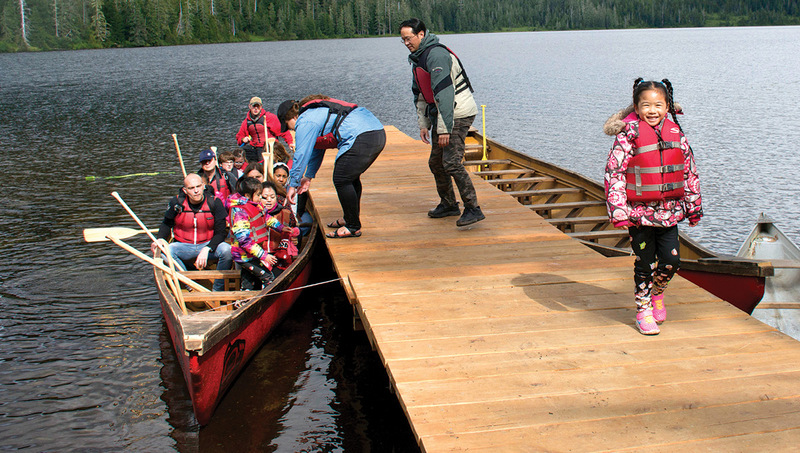 Here, you’ll experience a unique ecosystem from the vantage point of a 37-foot, 20 passenger, Alaska Native-style canoe; these traditional Alaskan canoes are fast, stable, and easy to maneuver. 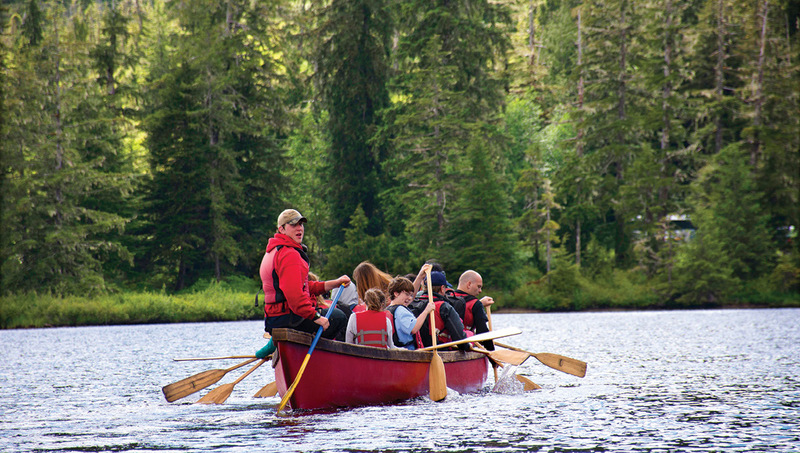 Once on the other side of the lake, your expert safari guide will lead you to a camp on shore where an Alaskan snack awaits. 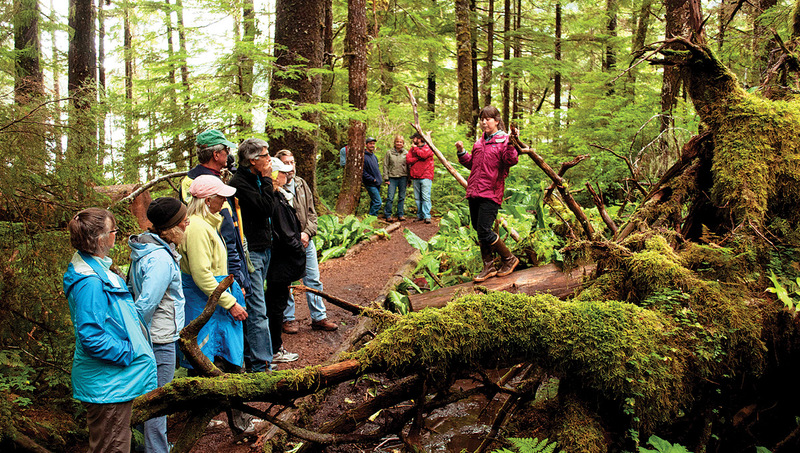 From the camp, your guide will interpret the features of a temperate rainforest on an optional nature walk through old-growth forest. Your excursion concludes with a scenic motorcoach drive back to the pier.